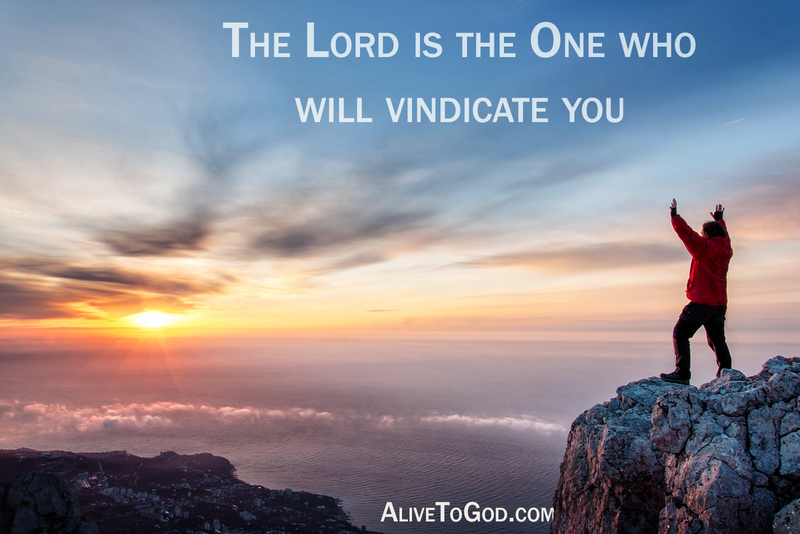 The Lord is the one who will vindicate you. He will set you free from the allegations and blame others have placed on you. Remember that the Lord, who is above all, and can do all things. Therefore we can call on the Lord, knowing that He can restore you. Prayer: Lord, I cry out to You, my Lord and my God. You are the One who performs all things for me. Amen. Die Here is die een wat jou sal regverdig. Hy sal jou verlos van al die beskuldigings en blaam wat ander mense op jou probeer plaas. Onthou dat die Here, wie bo alles is, enigiets kan doen. Dus kan ons tot die Here roep, wetende dat Hy ons kan herstel. Gebed: Vader, ek roep tot U uit, my Here en my God. U is die Een wat alles vir my doen. Amen. Es el Sreñor quien te brindará Su apoyo. Él te liberará de las denuncias y la culpa que otros ponen sobre tí. Recuerda que es Dios quien está sobre todo y quien puede hacer todas las cosas. Por ello, podemos invocar Su nombre, sabiendo que Él puede restaurarte. Oración: Señor, clamo a Tí, mi Señor y mi Dios. Eres Tú quien hace todas las cosas para mí. Amén.